The National Highway Traffic Safety Administration has said that by preventing crashes, electronic stability control will save lives, prevent property damage and reduce congestion. Fleets also are touting the benefits of ESC. Ryan Simmons, product marketing manager at Meritor Wabco, compared the ESC mandate to the mandate of anti-lock braking systems in the ’90s. 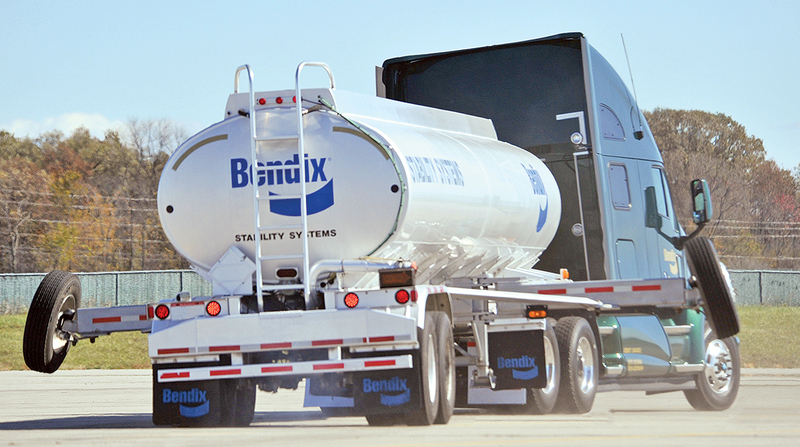 The government mandate of ESC will increase the technology’s penetration into the market, said Fred Andersky, director of government and industry affairs for Bendix. Groendyke Transport, which has a fleet of tanker trailers, first purchased tractors with roll stability systems in 2005. “We quickly recognized the value of the technology in reducing rollover accidents,” said Brian Gigoux, Groendyke Transport’s vice president of equipment and maintenance. In 2009, Groendyke added electronic stability control.